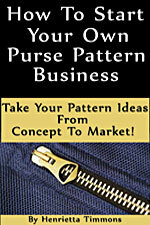 The Berlin Slouch Bag Pattern The Berlin Slouch Bag Pattern by Nicole Mallalieu [SSH80077] - $7.19 : PursePatterns.com, Sew your own unique purse or bag! 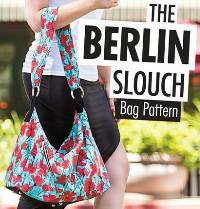 The Berlin Slouch Bag Pattern by Nicole Mallalieu, published by C&T Publishing Stash Books, includes sewing instructions and pattern templates for creating a trendy bag with a funky shape and eye-catching angled zippers. 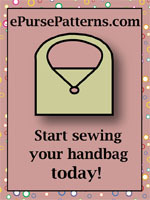 Play up your cool-girl style with this edgy bag! Finished size is 16 1/2" x 14" x 7 1/2". 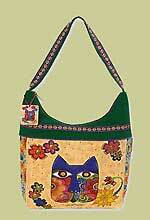 1 open ended zipper 20"